Here are just some of the tragic victims of knife crime, from all walks of life, from all different parts of the community and from all over the UK. Read about their circumstances, look at their ages and see their faces in our visual roll of tragedy. During 2016 a knife or blade was used in a crime every 16 minutes, somewhere in the UK. There were 2,300 victims of knife crime aged 18 or younger last year, records show – a rise of 45% over three years, in England and Wales. The Home Office says knife crime remains below levels in 2010 but it recognises there is more to be done. The BBC’s Ed Thomas has been to Liverpool to meet people who say they carry knives every day! Jesse J - "Why? Soul Deep"
Jocelyn Brown, Juliet Roberts, Hill Street Soul & Jesse J - "A Mothers Ballad"
surgery in Birstall, near Leeds, on 16th June, 2016 - a week before the EU referendum. Vasilaki Kakko 17, was found with stab injuries in Yoke Close, off North Road, Holloway at about 8.50 pm and was declared dead half an hour later. Mohammed Dura-Ray was found with multiple stab wounds in Canterbury Place, Walworth, at about 22:10 BST on Monday. He was pronounced dead at the scene a short while later. Mr. Attfield was stabbed more than 100 times. His body was found on the Riverside Path in Castle Park on the 29th March. Ms Almanea a student at the University of Essex, was stabbed on the Salary Brook Trail footpath on the 17th June as she walked to the Wivenhoe Campus from her accommodation in Woodrow Way. Jay Whiston was fatally stabbed at a house party in Stanway, Essex in September, 2012...his family and Essex Police waited some considerable time before the perpetrator was caught and brought to justice. This followed a successful intense investigation by Essex Police. Jane Clough was fatally stabbed 71 times in an extremely violent attack in a Lancashire Hospital car park. Following Jane's murder her parents successfully campaigned on a number of important issues, bringing about important change particularly on Bail powers, now known as Jane's Law. MP for East Ham Mr Timms was stabbed twice in the stomach at a constituency event on Friday...Liberal Democrat peer Nigel Jones was stabbed 10 years ago in similar circumstances when he was wounded and his aide Andrew Pennington was stabbed to death with a sword in January 2000. Lord Jones said the recent stabbing of Mr. Timms was "shocking"...he is urging Politicians to improve security. Kodjo 16 yrs old is interviewed about 'Knife Crime'...Five days before he was fatally stabbed, he told an MTV programme: "Stabbings are getting worse but the media is also making it bigger than what it is." You can access his interview and full story below. Tyrone Clarke 16, died after he was attacked by 20 men in Brett Gardens, Beeston, on the 22nd April, 2004. Post-Mortem tests showed he died from multiple stab wounds. Police found Julian Knight bleeding from a knife wound to the neck after being called to Overton Road in Abbey Wood in the early hours of Saturday, 17th July. The teenager was taken to Queen Elizabeth Hospital, but died at 2.29am. Police believe he was stabbed during a clash involving six or seven people. Julian’s death rocked the Thamesmead community and tributes of flowers toys and candles were laid at the site. Read the full story about Julian Knight. Read the full story about Luke Walmsley. Officers were called to the house in Petersham Road at about 22.25 BST on Thurs 14th September where they found Miss Braham with stab wounds to the chest and abdomen. She died at the scene. Lucy Braham, the daughter of Harrow School’s Art Director was murdered by Mr. Jaggs, the son of another teacher at the school. Read the full story about Lucy Braham. Read the full story about Stephen Keen. 18 year old Anthony Walker was killed with an ‘ice axe’ whilst with two friends walking in the McGoldrick Park in Huyton, Merseyside on the 29th July, 2005. This brutal murder took place after ambushing them…two of the friends escaped, but Anthony was caught and killed by the ’ice axe’ being embedded in his skull. Read the full story about Anthony Walker. Read the full story about Daniel Pollen. Kriss Donald was forced into a car after a struggle shortly after 1500 GMT on Monday 15th March. Early on Tuesday his body was found behind the Celtic Supporters Club on London Road in Glasgow’s East End. He’d been badly beaten and stabbed to death…it was described as a particularly brutal attack. Read the full story about Kriss Donald. The 31 year old victim who was returning from a night out with friends, collapsed after being attacked by two men. Tom ap Rhys-Price was stabbed to death just yards from his home in a ’vicious and gratuitous attack’…after being robbed. Read the full story about Tom ap Rhys-Price. St Fagans Church in Trecynon, near Aberdare, Rhondda Cynon Taf. Wales. Father Bennett, a father-of-two and grandfather, was found by his wife Georgina at about 1450 GMT. A 23-year-old local man was arrested at the scene on suspicion of murder and is being questioned. Police said they were not looking for anyone else. Read the full story about Father Paul Bennett. 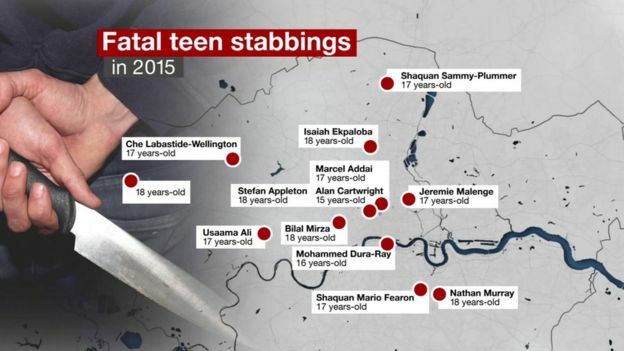 These are their names...Charlie Wright 17, Wesley Sterling 16, Aliza Mirza 18, Agnes Sina-Inakoju 16, Nicholas Pearton 16, Godwin Lawson 17, Sofyen Belamouadden 15, Olukorede Fajinmi 17, Jessie Wright 16, Isschan Nicholls 18, Marcin Bilaszewski 19. DURING 2008 MORE THAN 70 TEENAGE MURDERS - BY THE END OF DECEMBER, 2009...Are we reducing the number of teenagers that have been violently killed in the United Kingdom? During 2007 and 2008 onwards...Knife Crime, Gun Crime and Gangs have featured regularly in the news headlines, collating and mapping full information has revealed that most Police Forces had not seen a case of Teenage Homicide, although complacency is not an option! Evidence is clear that Knife Crime, Anti-Social Behaviour does need to be addressed, whilst ensuring that perfectly Law abiding Young People are not marginalised, and repeat offenders are suitably punished. The cases reported here shows information gathered from Police forces around the UK on every reported case of Murder & Manslaughter (Homicide) in the 10-19 age group. JOINT ENTERPRISE - MURDER...is a form of secondary liability whereby a person who agrees to commit a crime with another becomes liable for all criminal acts committed by the other person, in the course of their criminal venture. It is a Common Law, developed by the Courts, to ensure that all participants in a criminal enterprise could be held accountable. When used in a prosecution, Joint Enterprise relies on the Court determining what the offender could have anticipated or foreseen, rather than what was explicitly agreed or intended.